Happy Friday! 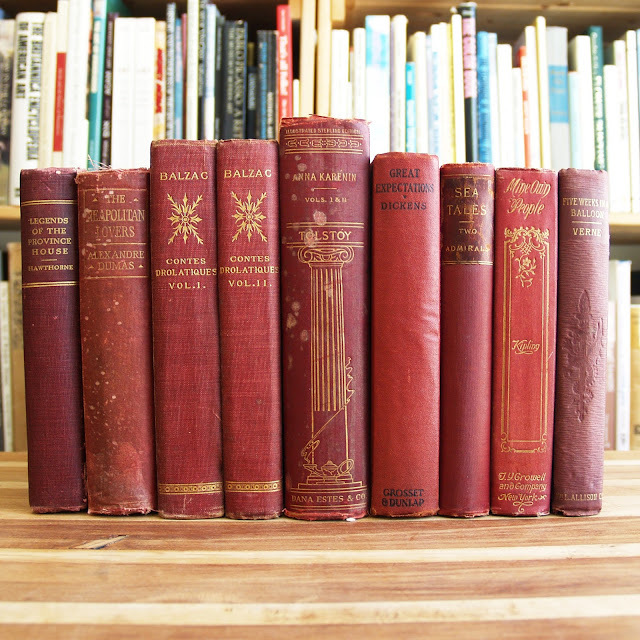 I would love to take good care of these lovely books. Thanks for the chance to win. Nice little collection! Thanks for the chance to win! You always choose the best titles. I am in love with this weeks collection! What an amazing pick and I am glad you are giving these away to one lucky person (fingers crossed it's me! )Thanks for the weekly chances. A highlight of my week is seeing what you have chosen to share. Please enter me. The Kipling looks very tempting. Just finding your site! Thanks so much for the giveaway, please include my name.